They say that legends are shaped over time and that's what Hennessy V.S.O.P is - a legend. It all began on October 7, 1817, when the future King George IV asked the great French cognac House to supply him with a special cognac described in the records with the words "Very Superior Old Pale". And ever since then, the cognac's personality went unchanged for nearly two centuries and yet maintaining and preserving all it's fineness handed down under the stewardship of Hennessy's cellar master. The secrets of selection, aging and blending, and the oak barrels for maturation all carefully selected so as to avoid giving the eau de vie excessively woody notes. 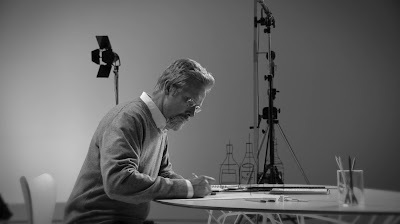 So in order to house such elegant, fine spirit, the bottle should possess curves that best signify it along with the generosity of the content, with it's balance and exceptional harmony and what better qualified person to do it than Chris Bangle. 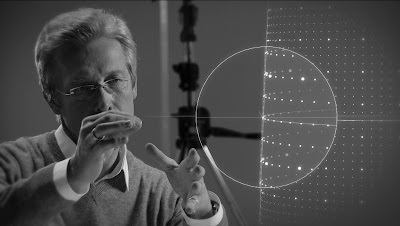 Christopher Edward "Chris" Bangle is best know for his designing work in the automotive industry where during his tenure with the BMW Group as Chief of Design, he's responsible for the BMW, MINI and Rolls-Royce motor cars from 1992 to 2006. 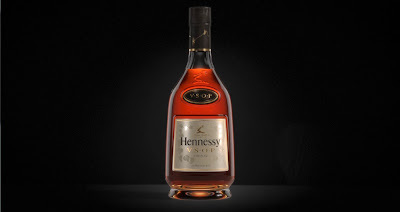 For his first masterpiece outside of the automobile industry, he delved into Hennessy V.S.O.P's history because for him, a product cannot be summed up by it's function and aesthetic alone. And so to further understand the personality of Hennessy, a deeper understanding on it's past was the way to go. Hence, the new bottle design was born. 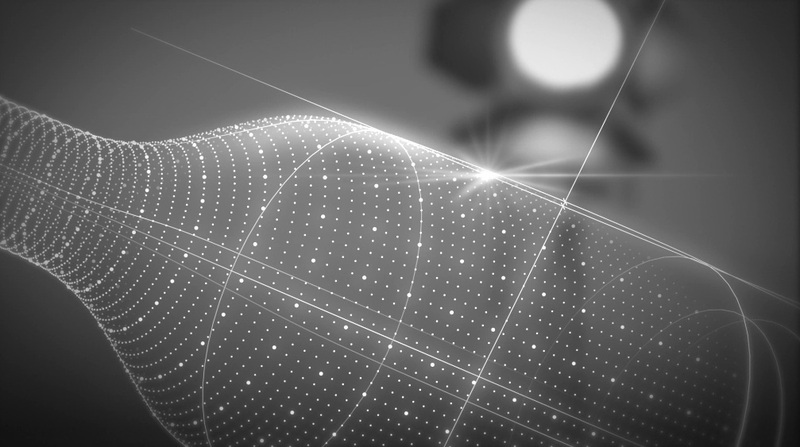 The curve in the side of the bottle is slightly accentuated by less than 1 mm, reinforcing the dynamic of it's silhouette. A thicker base that resembles a pedestal to distinguish the whole and stabilize it was modeled and inspired from the 1954 bottle. A hollow bottom was added to the bottle for handling. The bottle's neck is lengthened and it's shoulders straightened, stretching it vertically. Drew two lines of perspectives in the glass around the central label, creating an optical effect by structuring the front of the bottle with a pyramid perspective (a reminder of the notion of uplift, dear to V.S.O.P.) 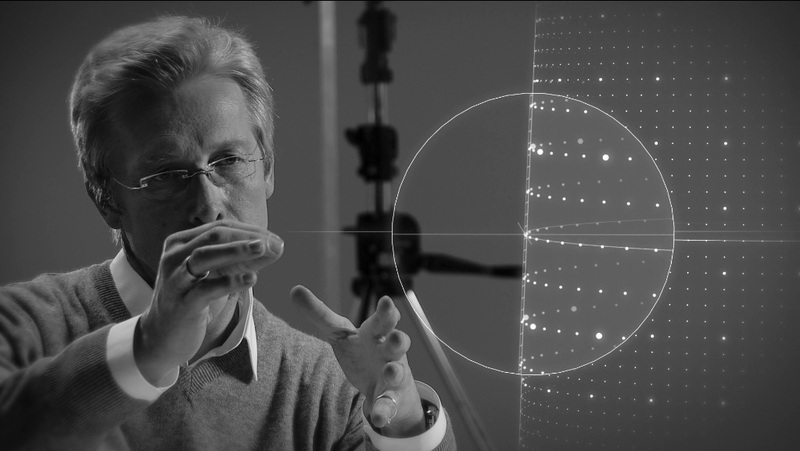 Actually, this geometry attracts one’s regard toward the top of the bottle, where Chris Bangle chose to engrave the legendary arm and axe of the Hennessy family into the glass itself. Revised the choice of paper and colours for the labels: a few millimetres from the arm and axe, the symbolic Hennessy V.S.O.P. oval is coloured in a dark grey ennobled with golden embossing, a reminder of the alchemy of contrasts comprising it. The main label highlights this refinement with a shimmering gloss imprinted with clusters of grapes and vine leaves in the background as a subliminal reminder of the origins of the cognac contained in the bottle. The bottle's box design also had a facelift with it's edges given to a more modern vision where the sides have been refined so that all we see is the bottle through the eyes of the camera lens dramatized effect of Adam Savitch. 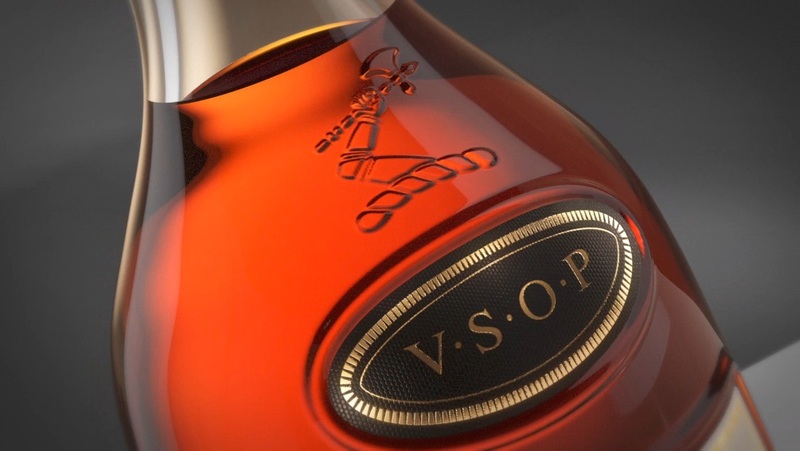 A liquid splash of V.S.O.P on the back of the bottle possessing the curves of an 'S' standing for "Superior" quality of the cognac. Lastly, one more side of the box referred to as the "Black Tie", glorifies elegant purity on a black background decorated with a band of golden vine leaves. The band was inherited from the 1954 box where it was a red and gold version back then.